Who is feeling lucky? 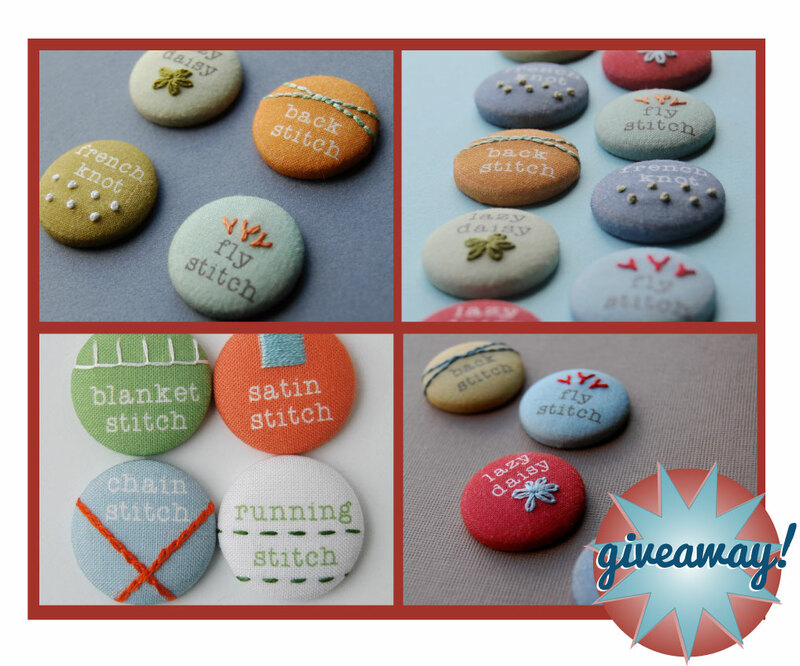 This week's Stitch-tember Giveaway is for a set of embroidered sampler magnets! There are three color schemes to choose from and each set features 4 different embroidery stitches. All you have to do is leave a comment and I'll pick a winner (well, random.org will pick a winner) on Friday! These are so fun and cute, I love the lazy daisy the most. Thank you for the giveaway. That certainly is an attractive offer. These are so cute. Thanks. I love those, they are so cute! Thanks for the giveaway. Throw my name into the hat for this drawing, Corinne =). That has to be some mighty tiny stitching, to fit on a magnet! What an awesome idea! these are so neat...I'll have trouble picking which one I like best. So, so cute! Love this product! I love these! I;m thinking about teaching a 10 week session on embroidery for our after school program, and these would be a fun way to show the kids samples of some basic stitches. Thanks for the chance to win a set! Love these! And you are so great for offering a set to a lucky winner. Good luck everyone! I am loving all theses giveaways! So, my husband loves it when I say the word button. When I do, he, in his best John Cleese (think Monty Python) voice yells, "Buttons! Buttons! Who has the buttons??" Thanks for the giveaway! oh, such cute magnets! I'd love to win a set!! I absolutely love these, they are so clever and cute. I would love to win. Thanks for the opportunity.